In my view, the answer is the radar gun. It was not until the radar gun became widely used at college showcase events that elbow injuries became so prevalent. The radar gun fosters a maximum effort mentality for hitting “90 MPH”. Not only is arm health being sacrificed in this pursuit of reaching the magical 90 mark, but the art of pitching is disregarded. Imagine purchasing a Cadillac for its comfort and smooth ride. Now imagine driving it like a Porsche with the sole purpose of getting to 60 MPH in 5 seconds flat. It’s not surprising if you blow the Cadillac’s engine in due time. Similarly, if you were a track coach, you wouldn’t expect your distance runners to sprint explosively in a 60 yard dash event if they were fit to run 5K races. The pitching arm is built to work like a marathoner, not a sprinter. Consider the careers of Tom Glavine and Greg Maddux. These pitchers were not “max effort” in their approach, but rather, crafty artists. It’s hard to even remember either of these Hall of Famers reaching back to throw his hardest fastball by a hitter. 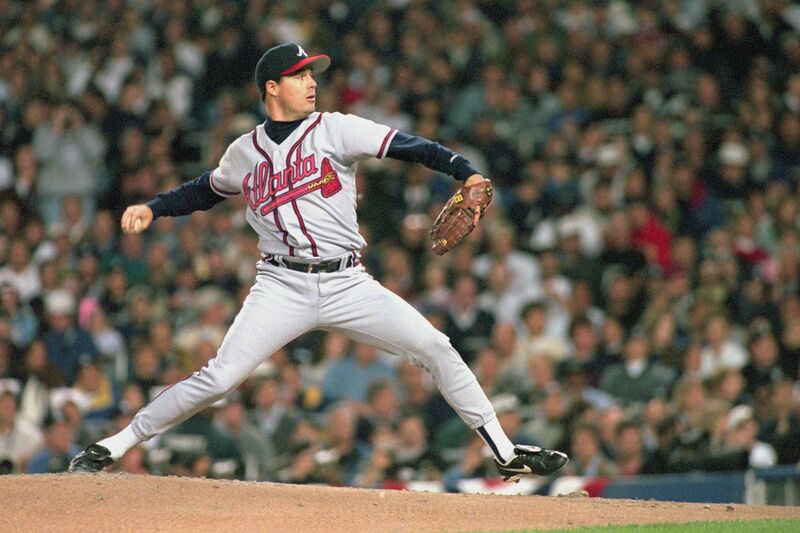 Greg Maddux has only been out of baseball for a decade, but with a fastball below 93 mph, he had a Hall of Fame career. The young players of today are part of the millennial generation. This generation has been characterized as one of instant gratification and a heavy reliance on technology. They are perfect candidates to fall victim to the allure of the radar gun. In short, the mentality is: ‘I must hit 90 on the gun or go home’. In a society where children no longer play in the street and are over-scheduled with a slew of programs to compete with their peers, there is no more free play (pun intended). It is a safe bet to say that Glavine, Maddux, and the all-time greats of past decades did not refine their pitching as teens at an expensive facility or national showcase. Rather, they played catch with friends in their neighborhood and worked at their game while “playing”. Young players don’t have casual baseball catches anymore. Games of stickball, Wiffle ball, and other fun competitions are virtually extinct, while performance centers with radar guns, weighted balls, and strength training are now commonplace. These atmospheres promote intensity and, in turn, a push-it-to-the-limit mentality as paying parents peer in on their investment hoping to groom a scholarship player. Within this hard-throwing mindset, the curveball has been largely abandoned and been replaced with the slider. As Jeff Passan points out, “sliders are anecdotally death to elbows” (The Arm, page 311). While the slider is not a new pitch, it is one that almost all pitchers are now urged to master during the transition from high school to college baseball. Not surprisingly, this is also the age when so many young pitchers are tearing their UCLs. Moreover, the slider, when thrown improperly, is simply a max-effort curveball. If thrown correctly using the proper grip versus twisting the elbow in a violent motion, it is a benign pitch. Just as people remark that human interactions and interpersonal skills are getting worse through cell phones, pitching injuries are getting worse through radar guns. People are not going to give up cell phones and other electronic devices because effective face-to-face communication is jeopardized. Similarly, pitchers are not going to stop trying to throw 90 with heavier, strength-trained bodies. By working out all year-round with this ‘bigger, faster, stronger’ approach and carrying more body weight than their tendons and ligaments can tolerate, players are experiencing more Tommy John surgeries every year. Changing that mindset is extremely difficult. No one wants to throw like a marathoner anymore. 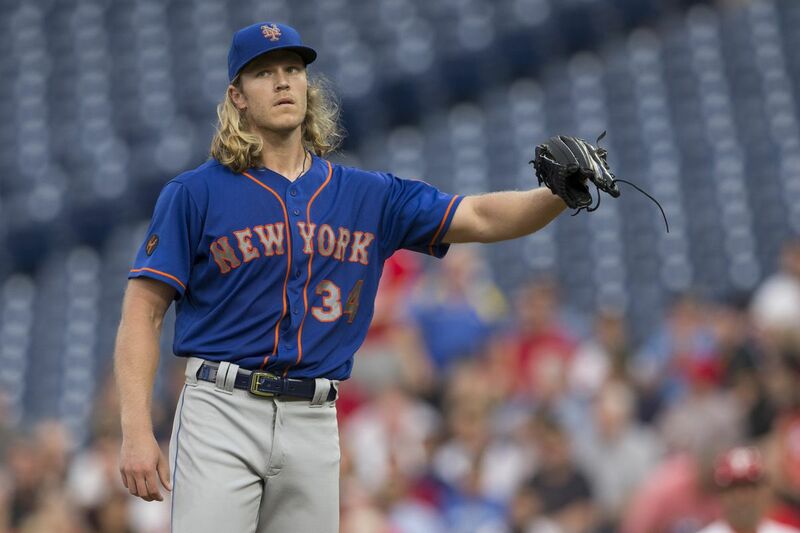 Flamethrower Noah Syndergaard bulked up in the 2017 offseason, only to miss most of the year due to injury. If the radar gun didn’t become so omnipresent at showcase events and baseball training facilities, there would likely be limited “max-effort” throwers, more crafty/finesse oriented pitchers, and, in turn, a small number of Tommy John surgeries. As a result, the careers of dozens of Hall of Fame-bound pitchers would never have been destroyed because of a device that measures only one metric – velocity. This instrument, which costs less than $1,000, flashes two digit numbers (three digits in the case of Aroldis Chapman) that are prominently displayed on ball park scoreboards and television broadcasts. The widespread obsession with velocity and hitting the magic number: “90” (there is actually a website: www.throw90.com), while also disregarding craft and guile, has spawned pitchers who are narrow-minded and prone to injury. The radar gun does possess utility if used properly. Coaches and trainers should use it to track velocity differentials of a pitcher’s various pitches – four-seam fastball, two-seam fastball, changeup, etc. This is important data in working to disturb hitters’ timing. It can also be a valuable tool to measure velocity as a player tinkers with new, mechanical adaptations in his delivery. In both cases, velocity measurements can be attained without players seeing the gun ostentatiously on display. 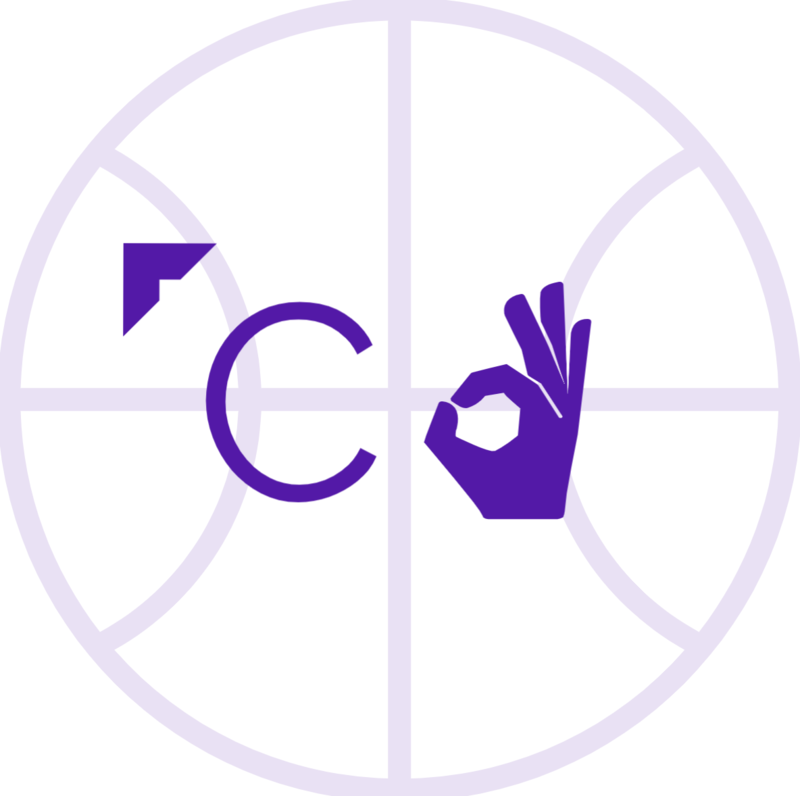 Rather, coaches and scouts can discreetly jot down numbers. In our media-driven, high tech culture, it is doubtful that the radar gun will disappear or be used strictly for beneficial purposes. But until the baseball world stops worshiping the gun and the velocity numbers it flashes, the injuries aren’t going anywhere. Coach Gurney has been coaching high school and college baseball for the past 28 years and is the founder/director of the Rising Star Baseball Camp in New Rochelle, NY which teaches players ages 4-15. He has coached over twenty players who were selected in the MLB Draft or that have gone on to play professional baseball. In 2011, Coaches Choice published his instructional baseball book, Covering All the Bases, which received rave reviews from The NY Times, Collegiate Baseball, and various professional athletes. I think your article is interesting and frankly kids throw too much but I also know that tendons and ligaments have not kept up with body. Other cultures like japan believe they have to throw ever day. I am not sure if they have more or fewer arm injuries. But I can find out as I have two guys on my sons training staff that both had a combined 35 years in the bigs as pitchers with no injury!